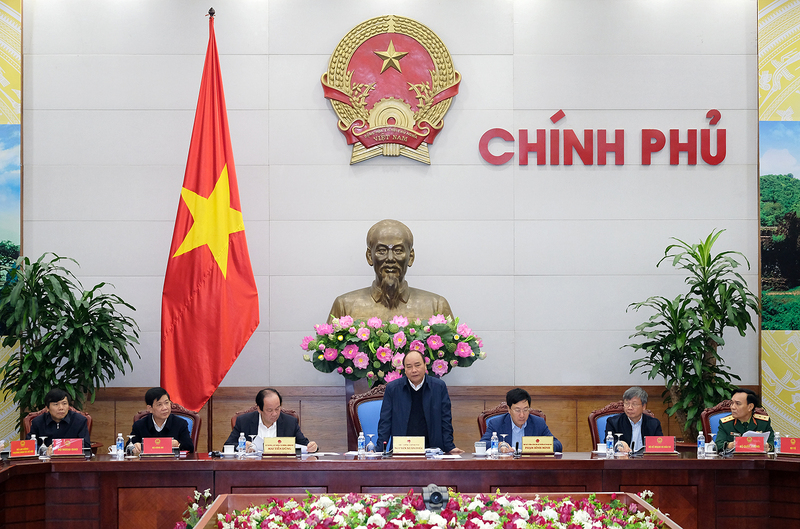 PM Nguyen Xuan Phuc lauded Viet Nam-Laos cooperation in 2017, affirming Viet Nam will continue support and assistance for Laos’ socio-economic development process in 2018 wiht a focus on key projects. The Government chief made the point while chairing a meeting on Saturday to review cooperation with Laos in 2017 and discuss cooperation orientations with the neighbor in 2018. Present at the meeting included Deputy PM, FM Pham Binh Minh and representatives of relevant ministries and agencies. The PM highlighted remarkable diplomatic activities in the Friendship Year 2017 as the two countries celebrated the 55th founding anniversary of their diplomatic ties and the 40th anniversary of the signing of the Viet Nam-Laos Treaty on Amity and Cooperation. The two countries also effectively implemented the Resolution of their Politburos and organized the 39th meeting of the Inter-governmental Committee for Bilateral Cooperation. Numerous projects and activities were deployed comprehensively in 2017 in all areas, PM Phuc stressed. In 2018, the Government chief urged inferior levels to continue accelerating bilateral cooperation with Laos in various fields, focusing on co-exploitation of the Vung Ang port and power projects. He asked for good preparations for the 40th meeting of the Viet Nam-Laos Intergovernmental Committee for Bilateral Cooperation this year. According to the report by the Ministry of Planning and Investment, the two sides exchanged more than 300 delegations at all levels. Viet Nam’s businesses have poured around US$5 billion in 276 projects in Laos, ranking third among foreign investors in Laos while the disbursed rate reached more than US$1.6 billion. The two-way trade turnover in the first 11 months of 2017 increased by nearly 10 percent to more than US$808 million. Last year, Viet Nam granted 1,246 long-term and short-term scholarships for Lao students, an increase of 246 compared to the two Governments’ commitment./.